Is a multidisciplinaire medical practice specialized in diagnostics, treatments and prevention of (pain-) complaints and injuries to the body. Musculoskeletal Medicine (Musculoskeletale-Geneeskunde) focuses itself on analyzing and treathing of muscoskeletal problems with neck and back problems as its specialized area. For research and treatments the MSK doctor uses Echo-diagnostics and manual medicine injections for pain relief. 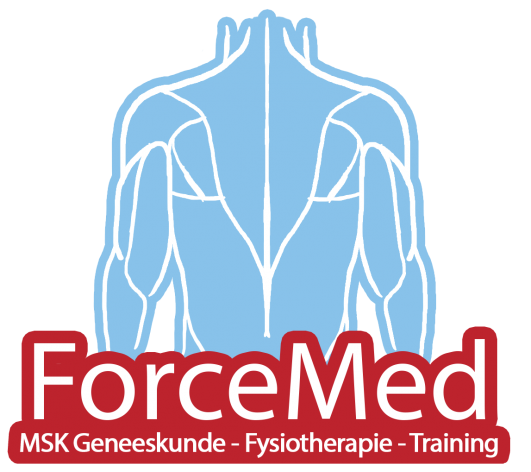 Physiotherapie at medical centrum ForceMed is for all residents of Eindhoven and surroundings. Our physiotherapists will help you with any musculoskeletal problems and complaints. subsequent to the treatmenst of the MSK-DOCTOR and the physiotherapist there is independent medical prevention training in ForceMed following the MedX concept wich is open to anyone even without complaints. For more information you can call us between our opening times or you can go to the contact platform for our email and social media to contact us.